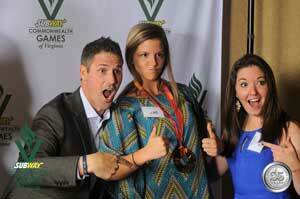 Intern Qualification: VAS is seeking highly-motivated, sports-minded candidates with a "have fun" attitude. Must have a positive attitude and enjoy working with people. Must have excellent written & oral communication skills and willing to do general office work and assist where needed. Must be willing to work long hours, as well as, some weekends. Must be available the week of July 28th-August 5th including evenings for Summer Internship positions. Majors: College or post-collegiate students majoring in sport management, sport marketing, sports information, business administration, marketing or related fields with an interest in sport management or event management are welcome to apply. Virginia Amateur Sports will work with students to gain academic credit for the internship. Summer 2019 Applications are Closed, pleased stay tuned for the Fall Application. Paper Applications are also available upon request. VAS does not provide Housing and interns must have their own transportation. Monthly Stipend of $250 is provided for Summer interns ONLY.